Do you know that you can make some delicious fries out of okra? 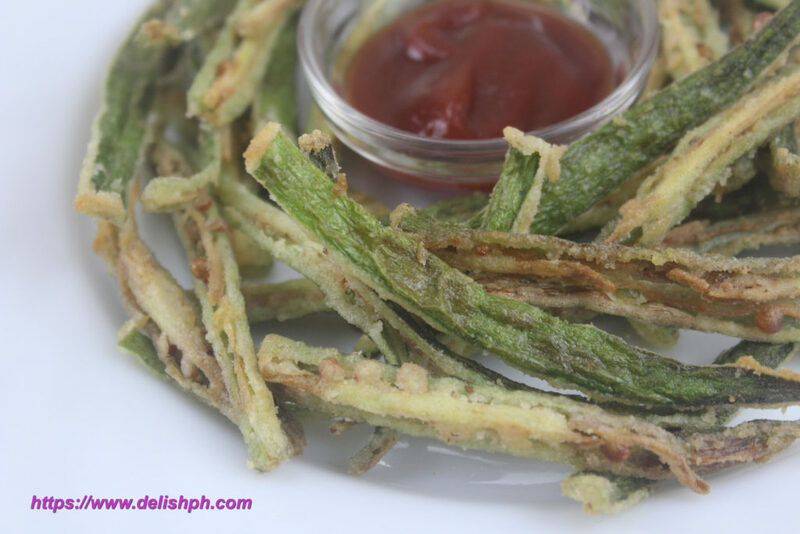 Well, if your kids doesn’t like eating okra, you can try this okra fries recipe. It is also a healthy alternative for those who are craving for fries but on a strict diet. Not to forget about all the health benefits okra can give. 1. Prep the okra. Cut the core and the tip. The slice lengthwise into four parts. 2. Toss it in a bowl with all-purpose flour for first coating. 3. On the same bowl, add in the tapioca starch, garlic powder and season with salt and pepper. Mix and toss to properly coat the okra fries. 4. 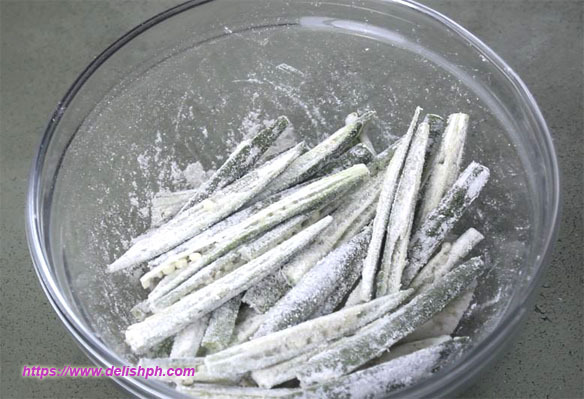 Heat some vegetable oil and deep fry the okra fries until brown and crispy. 5. Use paper towel to remove some excess oil. You can pick any dip of your choice. Eat while it’s hot and crispy. I know a lot of people who don’t like eating okra because of its texture. So this recipe will give okra a different reputation. I suggest you eat it while it’s crispy and hot. If you have any question or suggestion about this recipe, drop a comment below or send me an email.